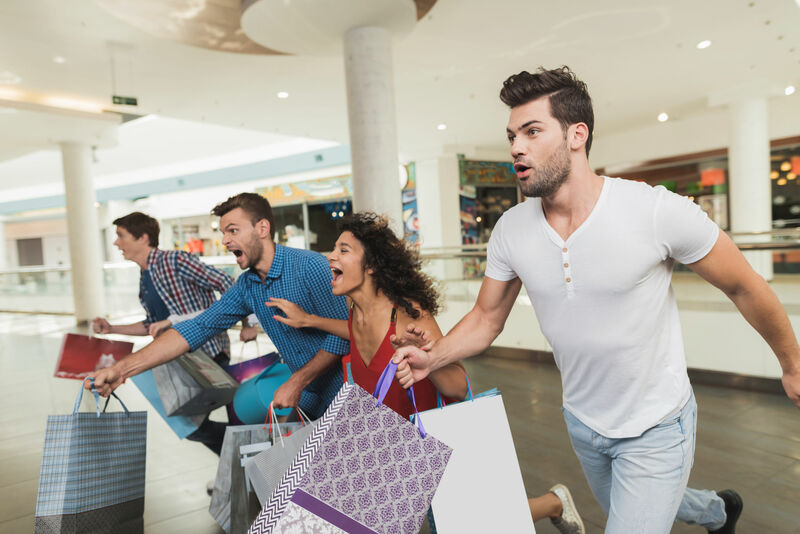 Businesses know that Black Friday is the biggest shopping day of the year, but often they are woefully unprepared. It’s important to take full advantage of this high sales period by effectively promoting your business during the run up to the holiday season. It’s been shown customers are straying from traditional brick-and-mortar stores and are doing their Black Friday shopping online, as 40% of the 2016 Black Friday sales were done online or on mobile devices. The most effective way to reach this mobile audience is texting. Here are some proven tips on how texting can make your 2018 Black Friday one for the record books! Marketers should focus on sharing keywords across multiple communication channels to get the largest reach and most opt-ins possible. They work by automatically sending promotions or information to a customer when they text your keyword. When preparing for Black Friday sales, it’s important to get a head start by getting the word out about your deals before your competitors. Once opted-in to a keyword, you can then send customers text offers to the best black friday deals that are relevant to them based on the keyword they opted-in to. If a customer was interested in snow gear, they could text the keyword “GEAR” to get mobile coupons like, “Get 40% off all snow gear this Black Friday!”. Sending deals that are relevant to each customer through a text will produce the highest possible redemption rate. It’s important to start blasting these text coupons as soon as possible, because Black Friday deals for big retailers like Amazon are starting weeks before the actual day, so staying on your customers radar is important. During Black Friday and the Holiday shopping period almost all retailers have a huge influx of temporary employees. Every year over 500,000 seasonal workers are hired, but keeping track of all of these new employees can be a massive headache. Onboarding and scheduling this massive group of temporary employees can be an intimidating task to do manually, but automating these steps through texting can make this process much easier. Through keywords, your workforce can join your text messaging list to receive essential onboarding materials and coordinate schedules through text. Because these employees are often temporary, they will be more inclined to miss a shift without any giving any notice. To deal with an emergency scheduling conflict last minute, send a message to all of your employees asking if they want to come in to work some additional overtime hours. Once the shift is filled, you can alert your staff there are no longer any openings to be filled. With the trends of Black Friday sales switching from brick-and-mortar shops to mobile devices, Cyber Monday is starting to become the new Black Friday. To utilize this trend to its full potential, create a powerful mobile marketing campaign for your Cyber Monday event. Through attractive SMS or picture MMS messages, you can share links to your website to allow customers to claim your Cyber Monday deals and see your deals get claimed lightning-quick. Often you will have leftover inventory from Black Friday, but you also have another 11 months of sales you need to meet. By sending text offers year-round you can boost your sale attendance and keep customers interested in your brand beyond the holiday season. You can also turn slow sales days around by offering flash sales partnered with mobile coupons, boosting revenue even during your traditionally slower days. Mixing texting into your marketing strategy is the perfect way to make Black Friday 2018 one for the record books. Click here for further ideas on how to use texting to boost your holiday marketing strategy.